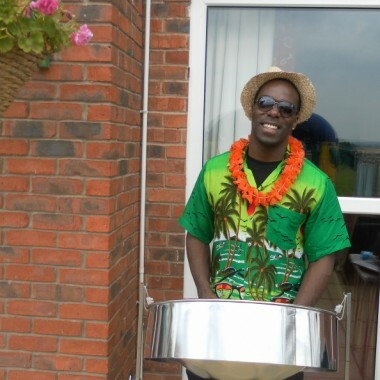 Manchester based steel band for hire. 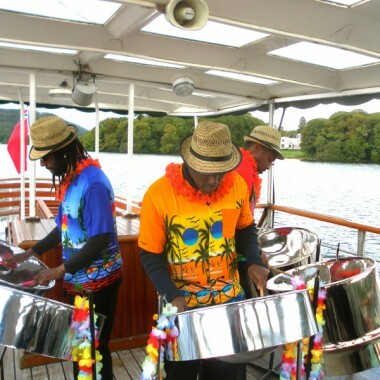 The Great North Steel Band bring a taste of the Caribbean to your event. They play well known traditional islands songs, as well as a mixture of salsa, and bossa nova, and lots of recognisable pop songs with a Caribbean twist. 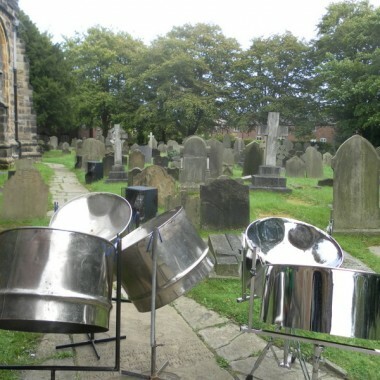 Great North Steel Band is a Manchester based steel band, whose players between them have over 40 years of experience playing the pan. They can appear solo, or as a duo, trio or quartet. 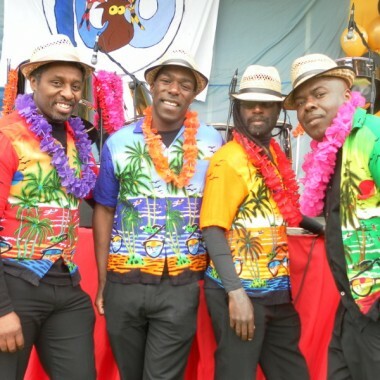 Although the band’s repertoire includes all the well known traditional islands songs, they also play a mixture of salsa, and bossa nova, and lots of recognisable pop songs with a Caribbean twist. The music is arranged in an innovative style, but without losing the classic steel pan sound, with jazzy chords and improvisations adding spice to all songs. Set times are a standard two hours of playing, which can be organised over a three to three and a half hour period into slots of 45 minutes, 30 minutes etc. They are prepared to be flexible with set and playing times. The guys were absolutely great and created a really good atmosphere. Everyone was commenting on how good they were so I feel vindicated in having booked them. I would most definitely recommend them. Arrived in plenty of time, very friendly and played some lovely music. Just what we wanted. Fantastic, the band really were amazing, so glad we booked them! 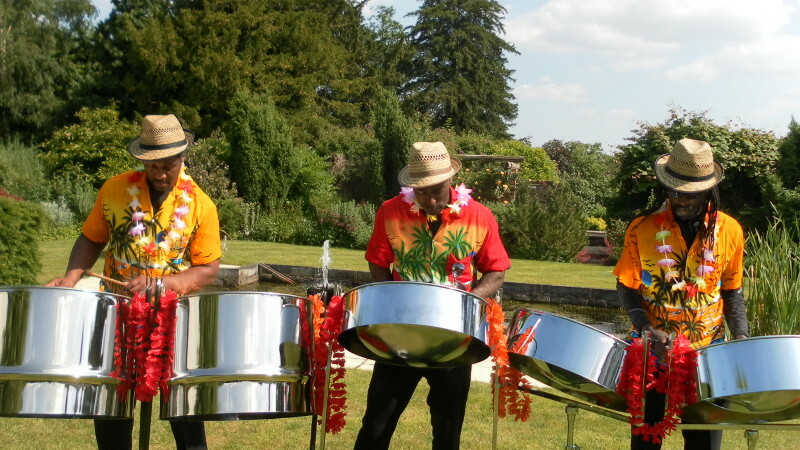 The guys were absolutely fantastic, my parents were delighted with the surprise and everyone has commented on how the steel band added to the party atmosphere of the occasion. My only regret is that I didn’t think beforehand to get some lessons from the band before the day to play a tune for our family and friends…. that would have been an amazing surprise for everyone!! I’ll have to do that next time! It was also a pleasure to deal with you, you were very helpful with the booking. If you ever need a reference for you or the guys I’d be happy to provide one for future clients. Good image and presented good also. Thank you very much to travel so far, and it was surely worth it. The people liked the Caribbean music, and the atmosphere it carried.